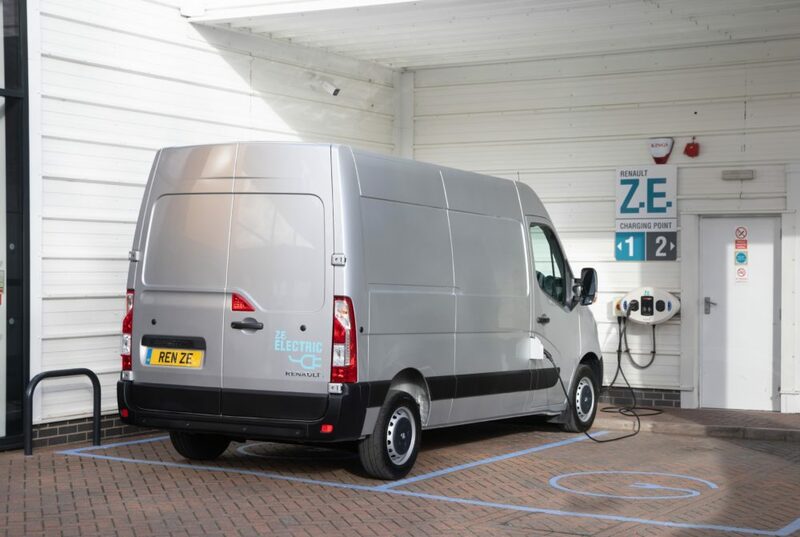 Ordering is now open for the New Renault Master Z.E., the all-electric version of the largest Renault Pro+ LCV priced from £45,700 excluding VAT (after the Government PiVG). The new van can carry a payload of up to 1,128kg and Renault says it is “perfect for last-mile deliveries”. The Master Z.E. uses Renault’s new-generation 33 kWh battery to provide a claimed real-world driving range of 74 miles with half payload and a charging time of empty to fully-charged in only six hours. The Master Z.E. is available in a choice of three wheelbase configurations – SWB, MWB and LWB – with a choice of two roof heights, LR & MR. All are based on the Business specification that is available across the Renault Master range. The Business trim level includes electric front windows and mirrors, DAB radio, Bluetooth, CD player, USB, full steel bulkhead, ESC, Hill Start Assist and Trailer Swing Assist. Exclusive Master Z.E. options include a charging cable suitable for a domestic three-pin plug and a three-year renewal subscription to My Z.E Connect, which when combined with the R-Link media system, lets you view the vehicle’s range on a smartphone or computer connected to the internet. The Master Z.E. is supported by the Renault Pro+ Business Centre network, which has been designed to meet the specific requirements of business customers. Key benefits include sales and after sales advisors specially trained in LCVs, the full Renault LCV range on display, plus a number of converted versions, together with the availability of no-appointment servicing, workshops with extended opening hours and van-for-van courtesy vehicles. Together with the Master Z.E., the range of electrified Renault Pro+ Commercial Vehicles encompasses the Kangoo Z.E. 33 – available in Panel Van, Maxi, Maxi Crew Van and Maxi Crew Van Cab bodystyles – and the Twizy Cargo quadricycle, which replaces the passenger seat with a 180-litre, 75kg load area. ‹ Lower prices and more equipment for the updated Volkswagen e-up! Tagged with: Renault, Renault Master, Renault Master Z.E.